Spacious, comfortable and stylish sandals models for you at Sefamerve. Sandals, one of the indispensable footwear models of summer season, continue to be an essential option for women with their different designs. Sandals which among the most important choices of women can be easily used in their daily life fashion. Moreover, with their stylish design alternatives they become great combination options for weddings, invitations and events. Flip flops are generally most preferred summer sandal model and used by women as well. You are so lucky if you have proportional and smooth feet, because flip-flops might be the right choice for you. However, for women with splayed and wide feet, flip-flops may not be the right alternatives. Therefore, women with splayed and wide feet should be careful when buying flip flops and they need to try them before buying. When you receive your summer sandal from Sefamerve.com you can try and make change if you need. Banded sandal models are most preferred ones among women with their wide bands on the front side. With their gripper band features, they will be comfortable choice for women with splayed and wide feet and their feet will be shown smaller than they are. In addition to leather alternatives which used in daily life and workplaces, patent leather models are the leading options for women who care about evening style. Women who say that I could not remove my high-heeled shoes in whole year, can use the heeled sandals and slippers comfortably in summer. Block heel sandals can be easily used in workplaces and daily life. You can easily find suitable sandal models for each size on Sefamerve.com. Laced sandals can be great combination with dresses and pants which can give a stylish look. You can easily make change with adjustable laces and it will make you feel the comfort in daily life. In order to choose the right sandals, you need to know the type of your feet at the first place. Some women's feet may be splayed and wide, but some women's foot structures are thin and long. This is very crucial for both your feet’s comfort and stylish appearance. Women with splayed and wide feet should stay away from the flip-flops and they should choose banded ones with darker colors, where the skin is not visible. For women with thin and long feet, flip-flops can be a nice alternative. For the ones who have long toes, ribbon banded sandals can be the best preference. 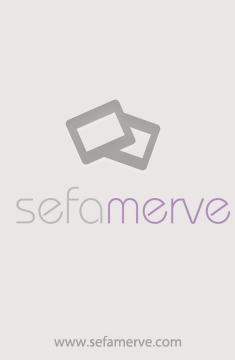 You should take a look at Sefamerve.com pages for all kinds of summer sandals with different numbers.